The first ever WPT Global Teams Event is ready to kick off in Korea at the Paradise City Hotel & Casino. The event will take place between September 19th and 21st during WPT Korea and involves an interesting new twist on tournament play. Team events are not new of course, but this event will pit nations against each other in four-person teams. Numerous tournaments will take place during the event, ensuring that all players get a reasonable amount of playing time. 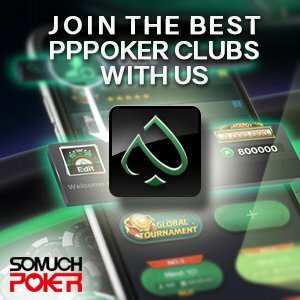 Each team will pay US$5,000 to enter and will compete against one another in up to six poker events that include variations of NL Hold’em and Pot Limit Omaha events. Australia: Wayde Rickuss (captain), Frank Marino, Trong Hieu Nguyen, Martin Shlemon. China: Dong Guo (captain), Yang Zhang, Xixiang ‘heichao’ Luo, Guoliang Wei. Hong Kong: Sparrow Cheung (captain), Edward Tam, Danny Tang, Vincent Kwun Ngai Li. India: Nikita Luther (captain), Kunal Patni, Dhaval Mudgal, Amit Jain. Malaysia: Victor Chong (captain), Michael Soyza, Ivan Seng Yee Leow, Webster Lim Chin Wei. Netherlands: Martijn Gerrits (captain), Luigi Knoppers, Bas de Laat, Joep Raemaekers. New Zealand: Thomas Ward (captain), Jack Efaraimo, Alicia Tangiiti, Paul Hockin. Norway: Henrik Tollefsen (captain), Markus Garberg, Orjan Skommo, Robert Kaggerud. Singapore: Bryan Huang (captain), Tyler Tan,Phua Tzai Wei, Calvin Tan. Taiwan: Pete Chen (captain), Chen An Lin, Fubon Huang, Leon Li-ta Hsu. UK: Sam Razavi (captain), Simon Burns, Nick Woodward, Ricky Cheung. The Global Teams Event will take place during WPT Korea, which will be running at the Paradise City Hotel & Casino between September 18th to 24th. Some of the key events during that festival include the KRW 1,100,000 (US$978) Main Event, which gets underway on the 21st. Satellites to the Main Event will run during the preceding days. The Team Event will also be a clear highlight, along with the KRW 600,000 (US$533) Superstack, the KRW400,000 (US$355) Bounty event on the 20th, the KRW4,000,000 (US$3,555) High Roller on the 23rd, and the KRW350,000 (US$311) Megastack NLH Finale Freezeout on the 24th. WPT Korea is part of a scheduled ‘Asian swing’, with festivals in Vietnam and India scheduled to follow the current one in Incheon, Korea. WPT Vietnam begins on September 26th and runs until October 6th, while WPT India will take place between November 13th and 19th.